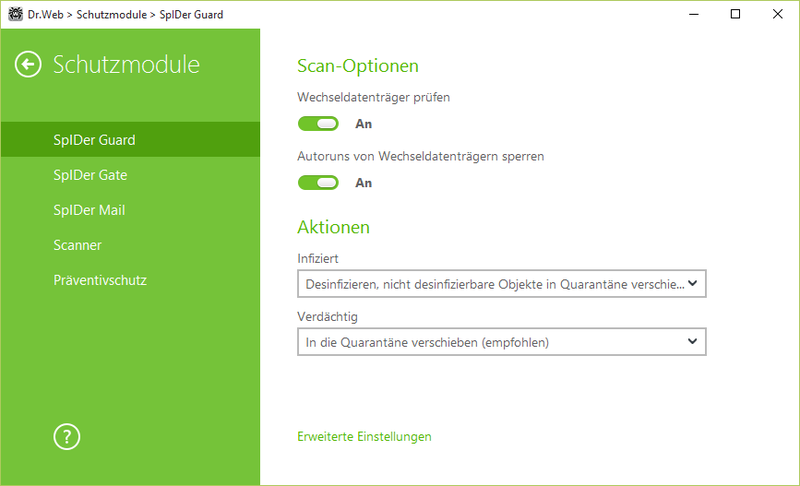 SpIDer Guard monitors system health in real time and intercepts "on the fly" all calls to files located on local drives, floppy discs, CD/DVD/ Blue-ray disks, flash drives, or smart cards. Virus scanning is faster than ever thanks to the enhanced Dr.Web Scanning Engine. Fast multi-thread scanning powered by multi-core systems. The Dr.Web Shield™ anti-rootkit used by the Scanner detects complex viruses that use rootkit technologies and are able to conceal themselves in an infected system. The console scanner, intended for experienced users, enables the anti-virus to be run from the command line. It offers users a wide range of options and also utilises multi-core features. Dr.Web is immune to any attempts by malicious programs to disrupt its operation. Dr.Web SelfPROtect is a unique anti-virus component that maintains anti-virus security. Dr.Web SelfPROtect is implemented as a driver that operates at the lowest system level. It cannot be stopped or unloaded until a system is rebooted. 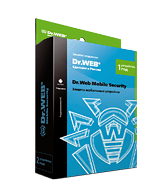 Dr.Web SelfPROtect restricts access to networks, files and folders, certain branches of the Windows Registry, and removable data-storage devices at the system driver level, and protects software from anti-viruses aiming to disrupt Dr.Web's operation. Some anti-viruses modify the Windows kernel by intercepting interruptions, changing vector tables, using other undocumented features, etc. This may have a negative impact on the stability of a system and pave new ways for malicious programs to get into a system. At the same time, Dr.Web SelfPROtect maintains the security of the anti-virus and does not interfere with Windows kernel routines. 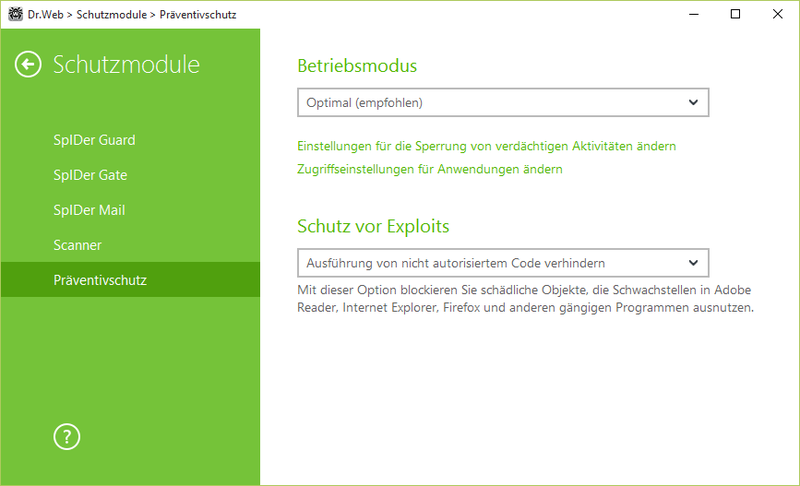 SelfPROtect can restore its modules automatically. uses state-of-the art CPU capabilities to upgrade threat detection and neutralisation routines and to strengthen Dr.Web's self-protection capabilities. The component launches and runs beneath the operating system to maintain control over all programs, processes, and the operation of the OS. It makes sure no malware can gain control over a system protected by Dr.Web. Dr.Web developers adopted this approach to overcome the limitations that exist for anti-viruses running on 64-bit platforms when an anti-virus has to operate on the layer used by malware. The component is compatible with VirtualBox, VmWare, Hyper-V, and Parallels.